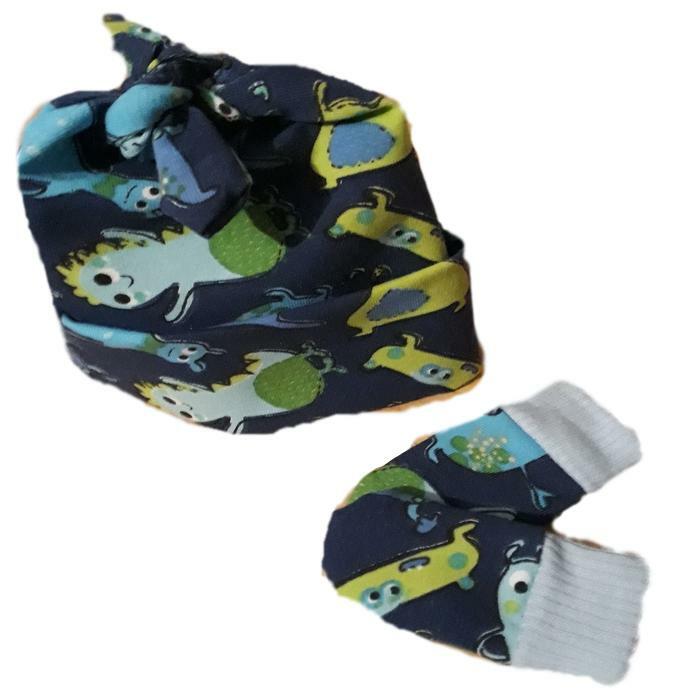 prem baby clothes lots choices here hats n mitten sets, in limited addition prints a colourful shade premature baby boys hat and mittens BY NANNY NICU exclusive at Cheeky Chums giving your baby the precious individuality he deserves. A great talking point with other mums 100% jersey cotton with a warm snugly texture too. Cotton rib trim on mittens. Once they are gone they are gone don't miss out, handmade in UK by Nanny Nicu. click the order button just below to order this trendy fabric dark blue space theme. ©2019 Cheeky Chums. All rights reserved. Web Design by Pixelicious.